Sinks are items in the home that we take for granted, as most of us use them regularly every day yet never give them a second thought. However, if your sink becomes broken or damaged in some way and you are unable to use it, you would suddenly realize how much you actually rely on this household fixture. Whether it is your bathroom sink or the one in the kitchen, we use the sink all the time to wash our hands, wash the dishes, fill the kettle, and more. When the kitchen sink is suddenly no longer functional we find ourselves stuck. There are various problems that can arise when it comes to sinks and this generally requires the services of a sink repair expert in order to get the damage or problem fixed. In some cases, where the damage is too extensive, you may need to get rid of your existing sink and have a replacement one installed. It is important that you find the right professional to carry out any extensive repair work or to deal with the installation of a new sink if the old one needs replacing. While you may be able to handle simple sink repairs yourself such as repairing a crack, anything that requires more in-depth knowledge should be carried out by an experienced plumber otherwise you could find yourself with huge problems on your hand including flooding if things go awry. Blocked sink: A blocked sink is a very common issue and can usually be resolved with ease. If you have a plunger you can use this to try and unblock the sink and if that doesn’t work you can purchase a range of bath and sink unblocking liquids that may do the trick. However, if that also doesn’t work the blockage may be worse that you think and it may need a plumber to come and take a look at the pipes to see what is causing the issue. A cracked sink basin: Sink basins can get cracked in a variety of ways, and the action you need to take will depend on the extent of the damage. You can get repair kits that will enable you to repair minor cracks and chips in your sink. However, if the damage is really bad, you may need to look at having the sink replaced. If you have a very large crack in the sink, it could lead to leakage, which in turn can lead to mold and mildew. You may be able to get a professional out to repair the damage rather than replace it but they would need to look at the extent of the damage to advise you on the best course of action. Broken sink stopper handle: A broken sink stopper handle is quite a common problem but it can cause an issue if you have a sink full of water and no means of draining it. Well, the good news is that there should be a lever under the sink that will remove the stopper so that the water can drain away. You can then head out and buy a replacement stopper so the problem can be fixed pretty easily by yourself. 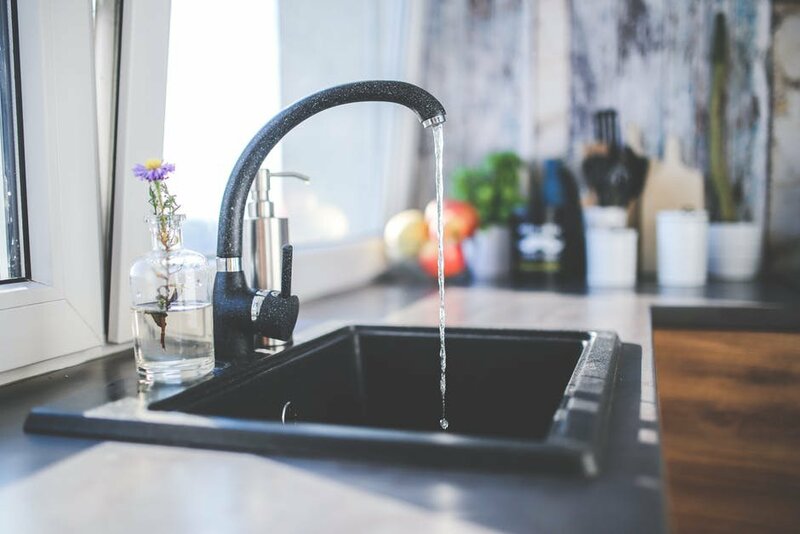 Clogged sink disposal: When it comes to the kitchen sink, you may experience an issue with the sink disposal system because it has become clogged. As with the bathroom sink, you can try using a plunger to try and get rid of the blockage. You can also turn off the power and then use a spoon to try and remove any debris and water that may be causing the issue. If this doesn’t work, you may need to call on a professional plumber to get the problem sorted out safely and efficiently. Dripping taps: Most of us have had to deal with dripping sink taps at one point or another. Often the simplest solution is just to tighten the handle to ensure it is properly turned off. If it is still dripping, you may need to change the O-ring on the faucet. It is best to take the ring to the hardware store so that you can get the right one and also make a note of the type of faucet you have. In the meantime, to stop the dripping use the shut off valves to turn off the water to the sink. If you continue to experience issues, you may want to speak to a professional as otherwise you could end up wasting a lot of water over time. In the event that you want to replace your sink either for enhanced aesthetic appeal or due to extensive damage, you should make sure you find a skilled and experienced professional. This will ensure that the sink is properly installed and that all of the plumbing is carried out correctly. This way, you won’t have to worry about leaks and flooding. The level of experience and expertise: If you need a professional to come out and work on your sink repair, you should find someone that has a high level of expertise and experience when it comes to this sort of plumbing work. The last thing you need is shoddy workman ship that leads to leaks and other issues, so finding someone that is fully qualified and trained is important. Look for a company that has been in business for a decent amount of time, as this will ensure that the person you use has a high level of experience within this industry. This also means that the provider is likely to have an excellent reputation because they have stayed in business for a long period of time. 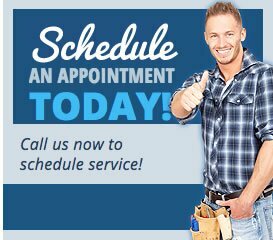 A reputable provider: It is important to find a person or company that has a solid reputation when it comes to plumbing, as this will ensure you get high quality sink repair services from someone that has already gained an excellent reputation amongst customers. It is a good idea to look at some customer reviews before you make any commitment, as this will give you more of an idea with regards to the quality, value, and service that you can expect. You can also take into consideration things such as the rating with the Better Business Bureau. Obviously, finding a provider that has an excellent A+ rating means that you can expect a reputable provider that is reliable and works to high standards. You can also look online for reviews on a range of review sites so that you can book your sink repair with total confidence. The pricing: The cost of having sink repair work done can vary based on the amount of damage, the type of repair work that needs to be carried out, and the company or individual that you use for the work. You should make sure you find a company that is able to provide you with fair and competitive pricing for the work that needs to be carried out. However, make sure that you do not sacrifice quality and service to keep the cost down, otherwise you could end up with cheap prices but also a low standard of workmanship that results in further problems down the line. Pricing is important but is should definitely not be your only consideration. Speed and reliability: When you have a major issue with your sink, you may need someone out as quickly as possible to get the work done in order to avoid any other problems such as leaks and flooding. You should therefore make sure that the provider you use can offer speed and reliability when it comes to your sink repair. For instance, some providers will be able to offer emergency sink repairs for those that need urgent work carried out as quickly as possible. Reliability is also vital, as you need someone that will come out to carry out the repair when they say they will rather than simply give excuses as to why they cannot make it. This is especially important in the event of an emergency. Free quotes and advice: Finding a provider that is able to give free quotes and advice is another key thing to look for. This way, you will not have to worry about being presented with the shock of your life when the bill comes along for repair work that has been carried out on your sink. Instead, you will know exactly what the costs are going to be so you can budget more effectively and ensure that you don’t get hit with hidden costs and inflated prices. Some providers are also able to offer free advice and troubleshooting tips on the phone, which means that you can benefit from the expertise of a qualified plumber to help you with problems that you may experience with your sink. These are some of the key things that you need to consider when you are looking for a company to carry out repair work on your kitchen or bathroom sinks. You can then look forward to getting the work done by a skilled and experienced professional. 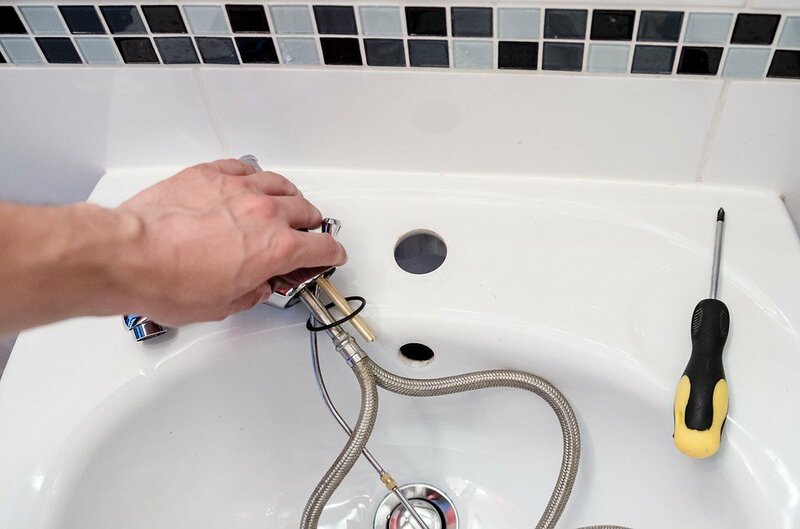 If you cannot carry out the repair work on your sink yourself, finding the right plumber means that you can get the work carried out with speed and efficiency. Moreover, you can ensure that the work is carried out to high standards and that you receive a high level of service from the provider that you use. This reduces the risk of further problems, which means that you get to benefit from peace of mind.